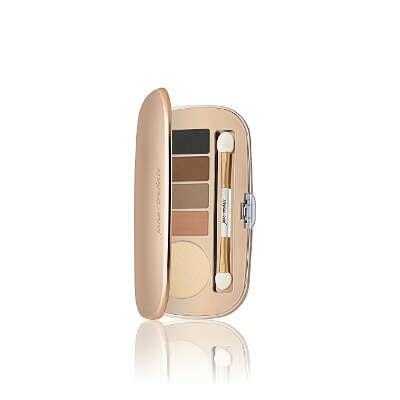 Look Elegance to Edgy and Feel Silky Smooth with this Jane Iredale Eye Shadow Kit. With these Jane Iredale Eye Shadow Kits you can create a gorgeous, natural-looking eyes with our deeply colored, long lasting shadows. Easy to blend, they’re formulated with nourishing minerals and botanical extracts to soothe and calm the skin. Choose between Cream, Foxy, Cappuccino, Antique Gold and Copper, or create your own combo for a bright-eyed look.